Lena Dunham interviews are generally enjoyable to watch, but her appearance last night on The Daily Show With Jon Stewart definitely takes the cake — at least, this week it does. 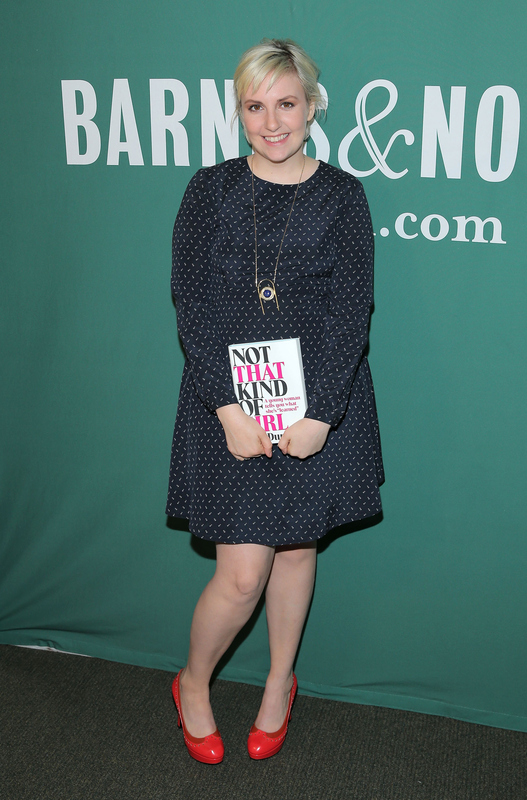 In an appearance on the show to promote the release of her new memoir, Not That Kind of Girl, Lena Dunham shared her amazing philosophy for dealing with critics and haters that she's perfected since entering show business in response to, as Stewart puts it, the "vitriol criticisms" often thrown her way. That philosophy? Respond with "class and a little bit of sass." Epic. "It can definitely be challenging...It’s not something that when you’re writing in your room and dreaming of this career that you necessarily think about — like I’m going to have a TV show, and I’m going to write a book, and everyone’s going to hate me on the Internet," Dunham explained. "But at the same time it’s a double-edge sword of like, you have this gift of people paying serious attention to your work and I feel so lucky about that. And it’s given me a sense of community in my life that I never imagined I’d have." Dunham, whose book was released just earlier this week, has certainly been scrutinized and had her work torn apart more than most other young female performers and writers in the business today, so the fact that she's been able to respond in this fashion is truly inspiring. In fact, I think it just speaks to how raw her work often is: It's real, it's honest, and sometimes, that makes people uncomfortable.